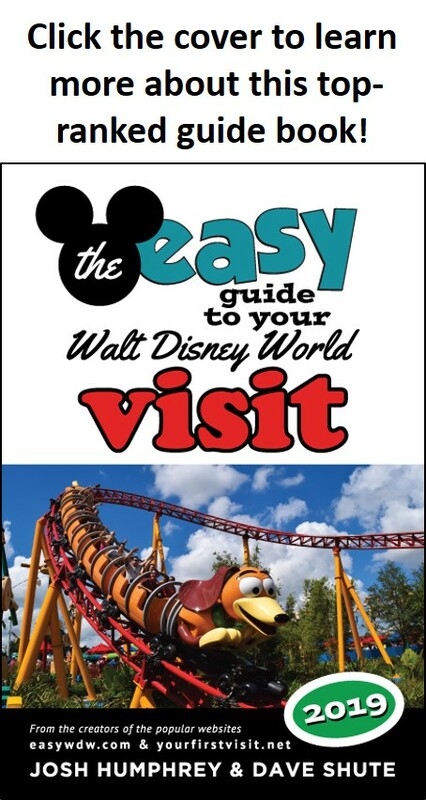 While published in 2003, the two hundred page Married to the Mouse is still a popular selling book, and is often referenced in the notes of other books about Walt Disney World. It is clearly in the “academic” category and could easily be used as a text for a class in urban planning, tax codes and similar subjects. Foglesong is a professor of politics at Rollins College in Florida and the premise of his book is that Florida and Walt Disney World are in an economic marriage, with many of the same characteristics as an actual marriage including conflict and compromise. He also maintains that after several decades, divorce would be a costly and messy situation affecting so many others that it is not realistically an option. 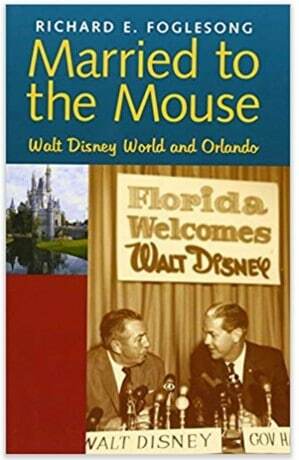 Foglesong feels that Disney “seduced” Florida so that Disney could become a “Vatican with mouse ears”–basically a self-governing city with no outside interference. With progress also comes loss (after all, hundreds of private homes and businesses were demolished for the creation of I-4) but Foglesong feels the scales were tipped strongly in Disney’s favor, even though Orlando did receive many economic benefits. The book is definitely biased that Disney is the villain and that it received overwhelming privileges through the creation of the Reedy Creek Improvement District by falsely claiming that the company was still intending to build the City of the Tomorrow that Walt Disney had promised before his death. Foglesong feels that Disney maintained a charade of building an E.P.C.O.T. in order to circumvent government restrictions so that they could do whatever they wanted on the property. In the years that followed, he feels Disney not only used but abused its governmental immunities enabled by officials too timid to challenge what the Mouse wanted to do right from the very beginning. Disney competed for (and won) bond money, which ultimately paid for new sewers to accommodate its own expansion rather than for low-income housing in a county already overwhelmed with Disney workers. When the Orlando Sentinel ran a series offering “tepid” criticism of Disney’s bad-neighbor policy, the paper was banned from being sold at the theme park. That being said, the book does have some value, especially in the early chapters about the creation of Walt Disney World. I found the later chapters to be a little harder to muddle through the intricacies of the rather dry financial information. The facts are accurate and Foglesong did his own original research including interviews with people like Billy Dial, who was one of the prime movers and shakers in Orlando who helped smooth the way for the building of WDW. I appreciated that at the back of the book is a nineteen page appendix listing and identifying people who were involved with Walt Disney World, from Roy Hawkins to Tom Moses to Martin Andersen. All of those listed are extremely important to understanding WDW history. I also appreciated some of the insights that he included, like the fact that one of the major reasons for building Walt Disney World was that Walt wanted to diversify and not be too dependent upon the fickle nature of Hollywood films. He also points out that one of the reasons for the selection of land was not just to distance itself from the distractions of the beach but to allow for a 360 degree expansion in the future. These thoughts and others do not appear in any other books discussing the building of WDW. Fifteen years have passed since the book first appeared, so it is definitely due for an updating especially in terms of whether anything has been corrected or even greater perils from Disney’s autonomy have arisen. And come back next Friday for more from Jim Korkis!